This river is the Arve that runs through Chamonix. Mont Blanc in the background. 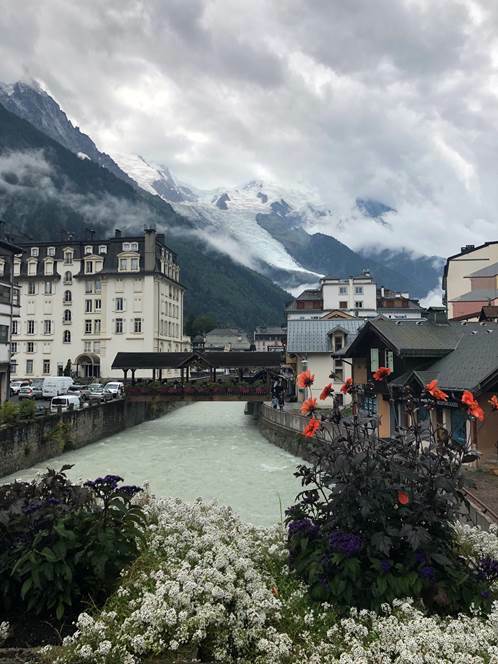 Wanted to share a couple of photos from Toby Baum who is in Chamonix, France this weekend for the UTMB. 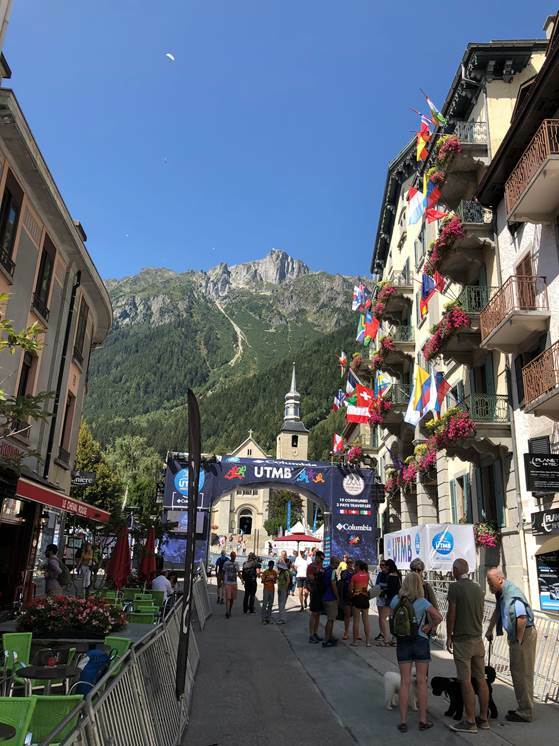 For those of you who do not know, UTMB stands for Ultra Trail du Mont Blanc and is considered one of the hardest endurance challenges in the world. It is a 103-mile ultra-run that circumnavigates Mont Blanc in the French Alps. The total elevation gain is 31,500 feet! The race starts and finishes in the awesome mountain town of Chamonix. Most runners will take 32 to 45 hours to finish the race and will run through two nights. Toby is our first athlete to take on this challenge. You can learn more about UTMB at https://utmbmontblanc.com/en/live/occ. There is actually a weeklong festival of ultra-running that accompanies the UTMB. Good luck Toby!! This entry was posted in Athlete Photos and tagged UTMB 2018 on August 31, 2018 by tekgrl_admin.